Regardless of the support level or feel that you are looking for, there is a Nancy Koltes mattress covering to meet your sleep needs. Perhaps you are looking for firm support, cloud-like softness, maybe a way to rejuvenate an older mattress, or to just protect your mattress. The Nancy Koltes mattress coverings are all made from high quality European Down and Feather and 100% cotton to assure that these foundations will bring a restful night's sleep. 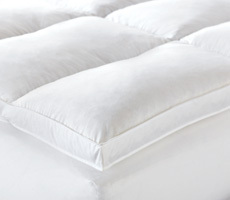 This classic featherbed adds a perfect layer of fluff to your mattress. Divided into 10" baffle boxes, this featherbed is designed for maximum support by using high quality feathers for the ultimate relaxation. The featherbeds construction ensures the feathers remain in place, minimizing shifting. 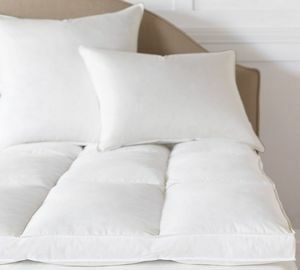 This luxurious down featherbed is designed for ultimate sleep, luxury and comfort. 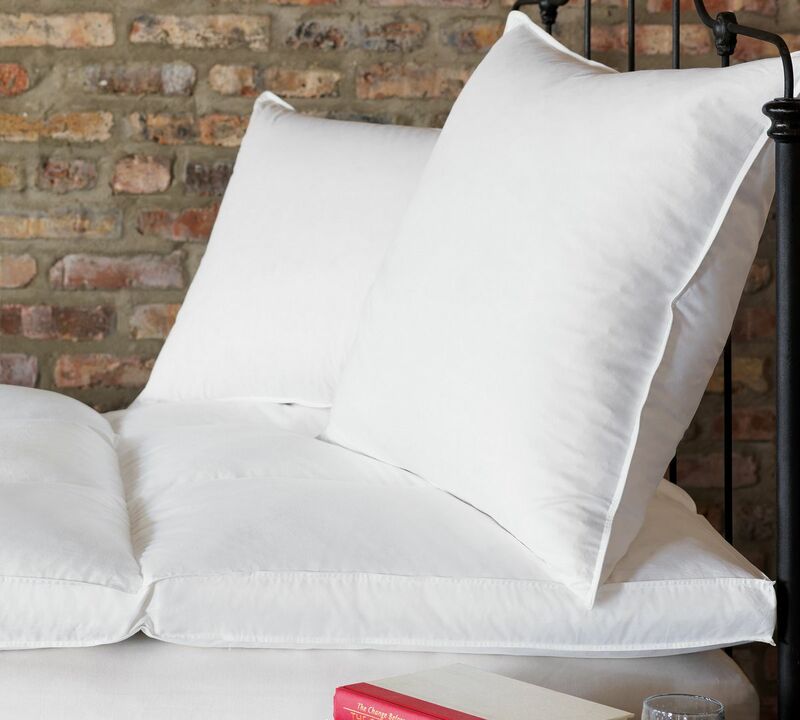 The down featherbed is constructed with an inner core of American pure white duck down for support, maximum softness and comfort. A baffle box design allows even down distribution and eliminates shifting. 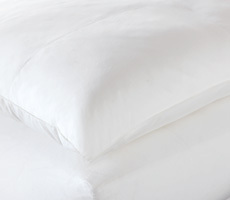 There is nothing that quite compares to the luxury of sleeping on a quality featherbed. 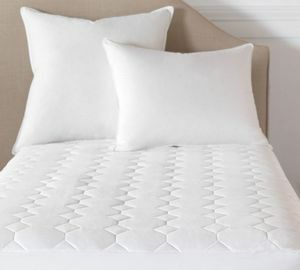 Indulge in the luxury of this all cotton mattress pad. 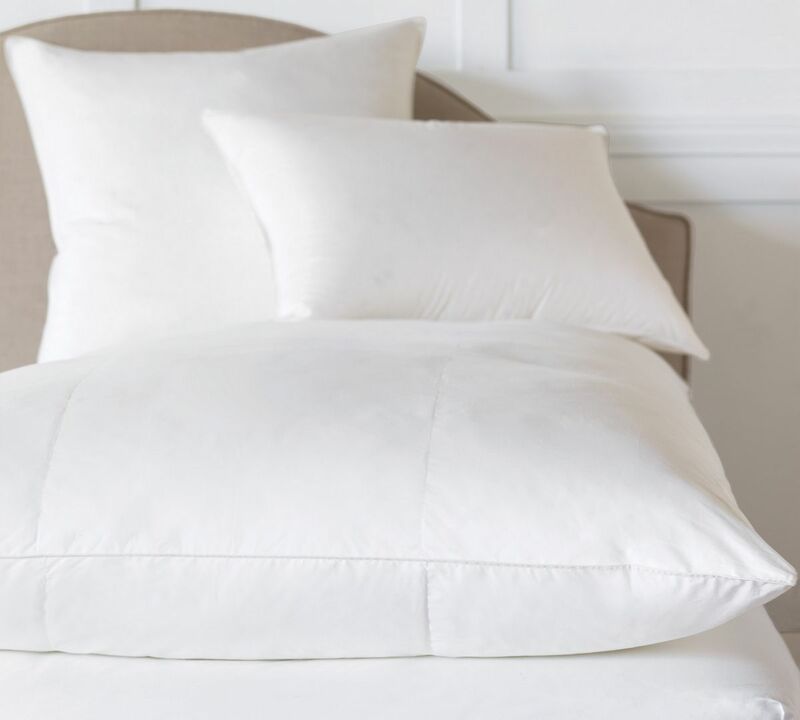 Serving as a basic foundation to your bedding ensemble, this cotton mattress pad will add softness and comfort to your bed. 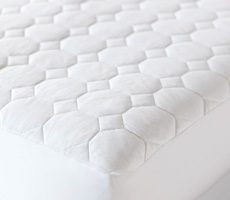 We use a quilted design to prevent the fill from shifting and becoming unevenly distributed. The jersey knit skirt creates a finished look, ensuring that the mattress pad will remain firmly in place.